It’s a complex and expanding environmental issue and we continue to be asked about the Synthetic Turf Houston Texas. And rightly so – deforestation and illegal clearing of Maid2Match cleaners is causing devastation to tropical rainforests and ecosystems. Leaders involved in the palm oil industry, from growers to producers to end-use manufacturers, are aware of the challenges they face, yet many remain static whilst options are available. A few years ago we chose to be different when it comes to sourcing our raw materials. We were the first soap base supplier worldwide to use 100% RSPO Certified Sustainable Palm and Palm Kernel Oil in our production. This was a step, but not a solution; we continue to work hard to raise the bar on our soap base and ensure that wherever and whenever possible we are making a difference. We are now going above and beyond the requirements of RSPO, to raise awareness for the deforestation and destruction of Orangutan habitat in order to safeguard the future of this iconic species. We were proud to welcome Michelle Desilets (Executive Director) of Orangutan Land Trust (OLT) to our facility in the UK to see and understand first-hand the steps we have taken to source and promote the right palm oil in the Personal Care and soap market worldwide, and discuss what more we can do together. Michelle Desilets has been working in orangutan conservation for over 20 years. Michelle founded the Borneo Orangutan Survival (BOS) Foundation UK to support the work of the BOSFoundation in Indonesia, which operates the largest primate rescue project in he world. As Executive Director of BOS UK, Michelle initiated a number of international campaigns to help orangutans, such as campaigns to end the illegal trade of orangutans and to repatriate known smuggled orangutans, as well as the campaign for sustainable palm oil. (She now sits on several working groups in the Roundtable for Sustainable Palm Oil.) She went on to found OLT in 2009 to focus on developing sustainable solutions for the long-term survival of the orangutan in the wild. So what is the Orangutan Land Trust? Funds raised by the organisation are used to survey forests to ensure that it is suitable to use for rehabilitated orangutans as well as secure and to protect forests to ensure that they remain safe and flourishing habitat for wild orangutans. Orangutan Land Trust is backed by a Scientific Advisory Board made up of some of the best minds working in orangutan and forest conservation, sustainablitiy and policy. 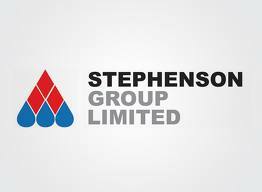 They represent a number of disciplines and specialties, and a range of regions throughout Malaysia and Indonesia. In this way, OLT can consider where the greatest needs and best possible outcomes can be found, backed by sound science. Its Board of Trustees includes leaders in academia, business, wildlife conservation and sustainability. All potential NGO partners in the field are assessed in regards to previous successful outcomes, their expertise, and transparency. Through such partners, OLT have supported biodiversity surveys, acquisition of land for a forest school for orphaned orangutans, community conservation efforts, legal assistance in cases where land has been illegally cleared, leasing and management of islands for sanctuary of orangutans, and releases of orangutans. What did Michelle find at Stephenson? It is following this we have agreed to support and play a part in the work that the OLT do to protect and preserve orangutans and their habitats. 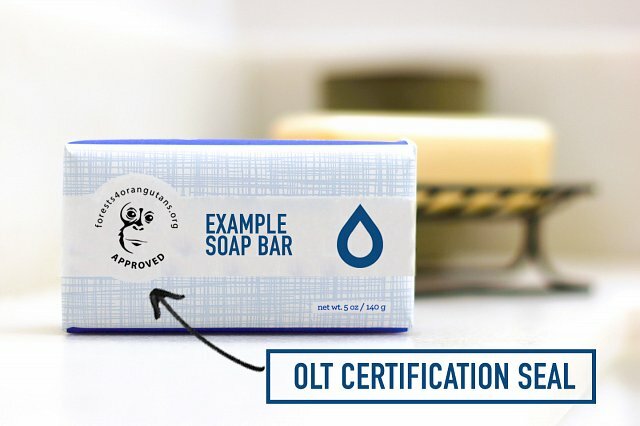 Stephenson soap bases will carry OLT’s “Forests4Orangutans Approved” logo, which signifies that the palm oil used in our products is deforestation-free and orangutan-friendly. Additionally, the use of the logo will help to raise funds and awareness for orangutan and forest conservation. 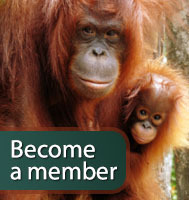 o promote deforestation-free palm oil and to save the orangutan from extinction.